The Women’s Bar Association of Illinois is unveiling its first ever Leadership Institute, an innovative six- program series to help women lawyers develop their leadership skills and strengthen their professional networks. From October 2015 through March 2016, participants in the WBAI Leadership Institute will attend six monthly professional development programs. Each session will feature a speaker or a panel discussion, an intimate roundtable session, and an informal dinner with opportunities for networking. 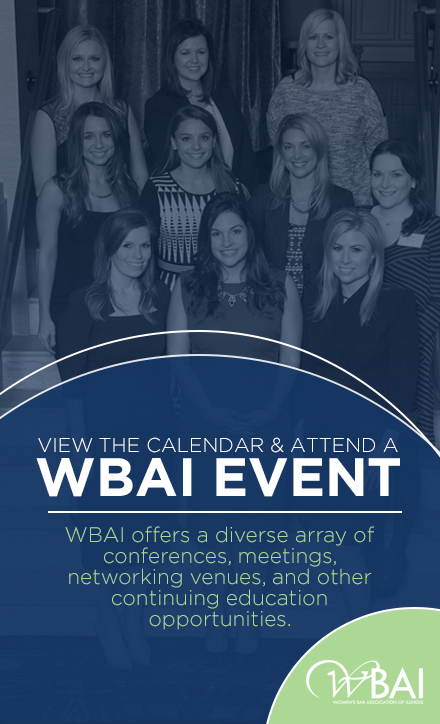 We hope you will join us in the inaugural year of the WBAI Leadership Institute.